As adults, it's all too easy to get swept up in the tides of our own stress. Oh, how we long to be carefree kids again! Is that really a wise wish? While kids don't have bills hanging over their cute little heads, they do deal with other stressors. The school year has just kicked off, so that means homework, extracurricular activities, friendships, crushes, and anxiety. What can we do to help our kids build strong, healthy coping mechanisms? One of the most essential elements in learning and easing stress is to partake in ample, unscheduled playtime. It builds the self-esteem and independence needed to sail through stressful times. Not only that, it's just good for the soul to have fun! Expression Through Art: A blank canvas can diffuse just about anything: pent-up anger, complicated sadness, unsung creative urges, and stressful triggers! Art helps kids discover themselves, find their voices, and process feelings. Encourage them to play with different mediums. Better yet, join in! Partake in Peaceful Activities: We all know what happens when we go too long without a chance to relax and unwind. Children are very in tune with our emotions, so make sure you devote time to self-care! Breathe! Phew! One of our favorite activities is to pack a healthy picnic and sprawl out with my kiddos at the local park. Not only is a picnic a great bonding experience, it's just a wonderful time to read, savor the fresh air, and rest easy. Go to the Playground: You know I am a playground enthusiast! Your kids can let their imaginations run wild in these interactive landscapes. Play is just like meditation for kids, and meditation is a top-notch stress soother! You can even squeeze a workout in as your kids enjoy it! Play Games Indoors: Winter is coming, but that doesn't mean playtime should hibernate! Detach everyone from their devices and dive into an indoor game. The possibilities are endless: Hot lava living room? Go Fish? Apples to Apples? Wii Fit? Scrabble? So many ways to lighten up! Read More Books: Reading is a classic stress-buster, isn't it? So many sweet memories of escaping into a good book. Take a trip to the library with the kids! Not only will it ease and elevate their spirits, it a fantastic learning experience. Extracurricular Activities: To help beat stress, encourage your children to explore extracurricular activities that they might enjoy. This breaks up the routine of school and opens the door to new friendships. My girls always feel cheery and supercharged after a bout of karate! Just don't overload your kid's schedule too much; this can backfire and overwhelm them. Lessons Learned: Sometimes easing stress is all about the mindset we have. Are we demanding too much from ourselves? Teach your children early and often that effort is golden and perfection isn't real! This will help them gain a healthy perspective on progress and self-growth. Breathe, Breathe, Breathe: So simple, but so perfect. Show your children stress-relieving breath techniques. When emotions bubble out of control, gently urge them to be mindful of their breath. Inhale calm, exhale stress. They will emulate you, so try to do this yourself! Reward Their Hard Work: Life can be overwhelming, even at a young age, and especially with the stress of studying and school. When your darlings are giving it their all, treat them ever now and then. Be mindful that it doesn't turn into a bribe, though! Have a Solid Sleep Schedule: Sleep is the magic ingredient for banishing stress. Without it, we're at a big disadvantage. Help get your kids on a regular, healthy sleep schedule (there are plenty of great ways to do that). Don't Overwhelm Them: We want the best for our kids. Our instincts to build fulfilling lives for them can backfire if we're too insistent. Suggest activities for them to do, but don't force things on them. Sports may just not be their thing. Perhaps art just isn't appealing to them! Help guide them in the right direction, but let them discover on their own what it is they're passionate about! In what ways do you help your children to manage their stress? 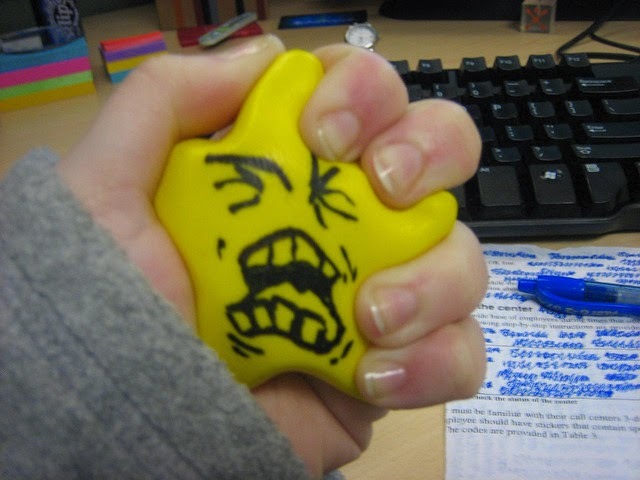 How do you handle stress yourself? The more we share our methods, the more we can help others!